G903-PF - Size Large Powder-Free Latex Gloves. These gloves are sold by the box, 100 gloves (50 pairs) per box. All Akers gloves are designed with beaded cuff for easy donning and helps reduce roll down associated with lesser quality brands. 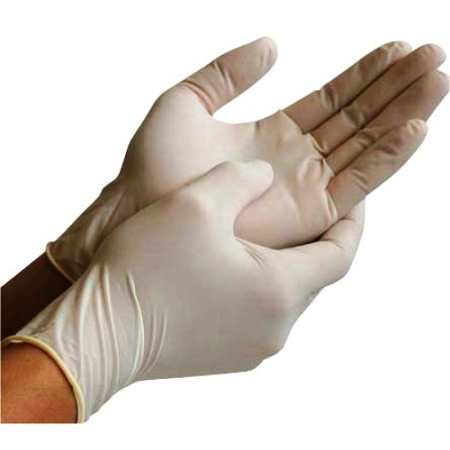 Latex gloves are offered as powdered or powder free and are 9" in standard length.